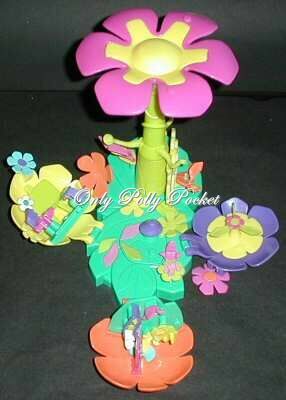 Place fairies or butterfly on the flower tree branches extending from the flower stem. With on/off switch in off position, wind the tiny yellow flower on the right base of set. 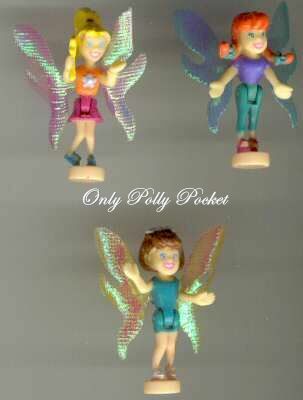 Turn switch to on position and watch dolls "fly" around flower. 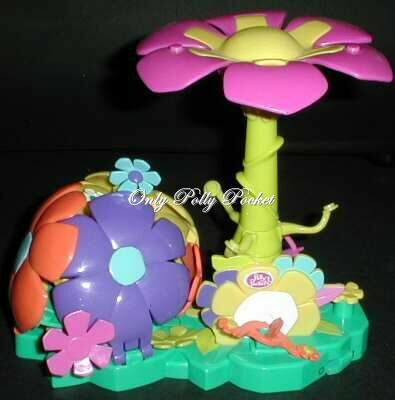 "Magic" wand, pink flower with yellow wheel, two-tone green "stem"
If we don't have it, you can find it on eBay!